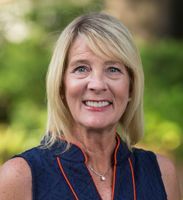 Lesley was born and raised here in the beautiful Golden Isles, and as a lifetime resident and local area expert. She personally has knowledge about the different communities, neighborhoods and schools in our area to help clients make the best decision that is right for them and their family. When buying or selling property in today's real estate market, it's important to have confidence in your real estate professional. Her commitment as your local REALTOR is to provide clients with the specialized real estate services they expect and deserve. Lesley’s goal is to keep clients informed on the marketplace using the latest trends and statistics in our local area. When buyers or sellers are informed, they will make the best decisions for the most important transactions in a lifetime. Outside of work, I enjoy traveling, reading a good book, a day at the beach or out on the water and spending time with my family.